Dr. Bell is a practicing general internist and a researcher focused on transforming health care through data science and information technology. He is a Professor in the UCLA Department of Medicine, Division of General Internal Medicine, and he leads the Informatics Program of the UCLA Clinical and Translational Science Institute (CTSI), which provides research access to electronic health record data, in compliance with privacy and security regulations. He is also Program Director of UCLA's fellowship program in the new medical subspecialty of Clinical Informatics. Dr. Bell has conducted pioneering research in electronic prescribing, clinical decision support, online physician education, online surveys, and the digital divide among health care providers. He developed novel web-based learning software for studies of physician learning and retention. Dr. Bell is also an Adjunct Research Scientist at the RAND Corporation, where he has led research programs on electronic prescribing policy and clinical decision support technologies. Dr. Bell completed an MD at Harvard Medical School, a medical informatics fellowship at Harvard and MIT, a residency in internal medicine at Stanford, and a PhD in Health Services at UCLA. 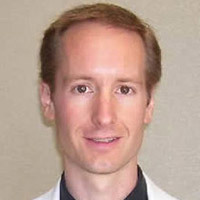 Dr. Bell's awards include First Prize in the American Medical Informatics Association's Student Paper Competition and the RAND Silver Medal Award.